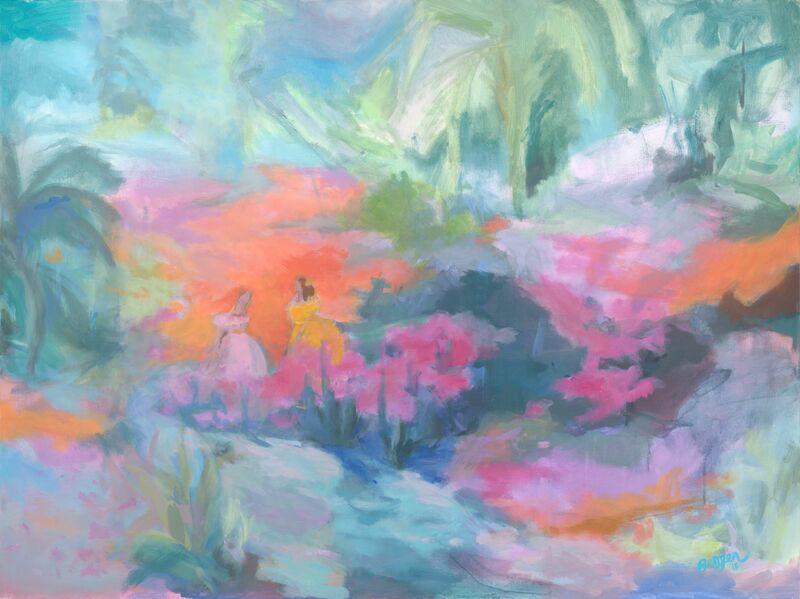 WILMINGTON, NC –Each year, the North Carolina Azalea Festival President chooses an artist to create an artistic representation of the North Carolina Azalea Festival. This artwork is then used in Festival promotions and publicity, and duplicated into Festival prints for sale to the public. The Official Art Unveiling of the 2019 artwork was held on Saturday, January 19th at the 2nd Annual Chefs’ Showcase with the beautiful piece “Wrapped in Blooms” by artist Bergen DeLeeuw. ABOUT THE ARTIST – BERGEN DELEEUW. Bergen enjoys bringing work to life by incorporating the simplicities of life and nature that make it truly beautiful. Her work is a representation of God’s beauty and all that he has created. Bergen paints from her home in Hampstead, NC. She lives with her husband, who serves in the Navy, and her 2-year old son, who adds happy strokes to all of her paintings. Bergen says that she loves her son’s strokes in her paintings because it reminds her to capsulate all of life’s precious moments, to not take it too seriously, and to remember that nothing is ever achieved alone. Bergen is part of a group called “The Milspo Project.” This organization was founded in 2014 with the dream to connect the military spouse business community. Since then, the project has grown to be the largest military spouse-member business organization in the country! 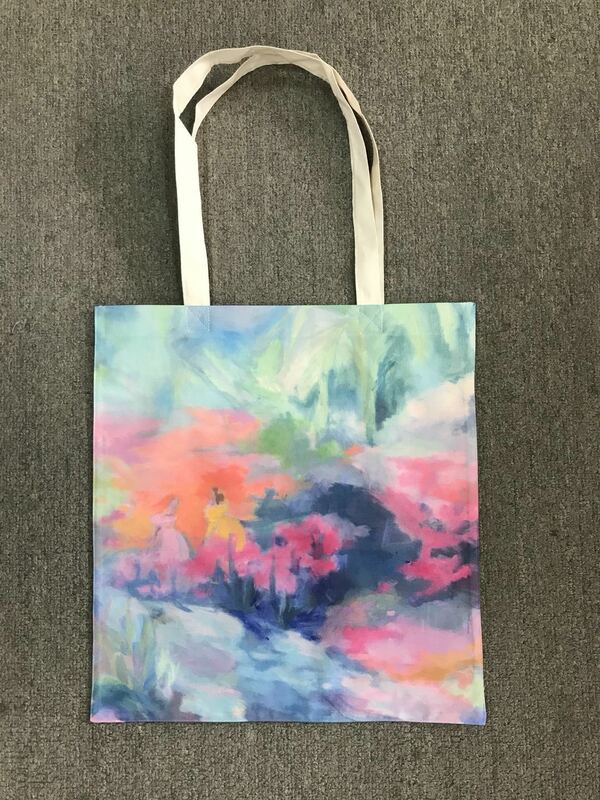 Bergen’s artwork is featured on a commemorative tote bag, with a portion of the proceeds being donated to the Milspo Project. Signed and numbered prints of “Wrapped in Blooms” are available for sale for $50.00 at the North Carolina Azalea Festival Ticket Office, 5725 Oleander Dr. Suite B-7. Tote bags with portions of proceeds donated to the Milspo Project are also available for purchase for $15.00. For more details or to request media interviews, please contact North Carolina Azalea Festival Executive Director Alison Baringer English at: alison@ncazaleafestival.org or 910-216-9400. The 2019 North Carolina Azalea Festival will be held April 3-7, 2019. Since its inception in 1948, the North Carolina Azalea Festival has blossomed into an extended weekend celebration that attracts more than 300,000 people and generates more than $51 million for the local economy. The Festival showcases our community’s rich array of artwork, gardens, history, and culture through recreational, educational and family-oriented events. 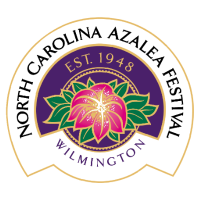 The North Carolina Azalea Festival at Wilmington, Inc. is a 501(c)3 non-profit. The North Carolina Azalea Festival Thanks Its Sponsors! Copyright © 2019 North Carolina Azalea Festival, All rights reserved. We send our e-newsletter to people who support the North Carolina Azalea Festival.